REGISTER NOW for 2017-2018. 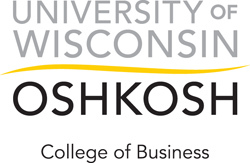 Contact Nancy Jo Dietzen, wfbf@uwosh.edu or 920-424-1547 to register. This program is designed to give those relatively new to the management of a family business the basic foundation of the dynamics of a family or closely held business. Seven sessions, running from September through March, provide an opportunity for a cohort of individuals to both learn from the presenters and to establish a network of resources to help them build the foundation of their family business career. Please print and share the attached brochure with anyone who you feel could benefit from participation. Questions regarding the program can be directed to Dale Feinauer (feinauer@uwosh.edu) or Nancy Jo Dietzen (wfbf@uwosh.edu). To view full Course Outline for the FBE course, click here. All sessions must be taken to receive certification. In the case where missing a session is unavoidable, the session can be made-up when the session is offered class.